This for a city of this importance, it needs more refs needs additional citations for verification . Please help improve this article by adding citations to reliable sources. Unsourced material may be challenged and removed. Popayán (Spanish pronunciation: [popaˈʝan] ) is the capital of the Colombian department of Cauca. It is located in southwestern Colombia between the Western Mountain Range and Central Mountain Range. It has a population of 258,653 people,  an area of 512 km2, is located 1760 meters above sea level, and has an average temperature of 18 °C. Colombia is a unitary republic made up of thirty-two departments and a Capital District. Each department has a Governor (gobernador) and a Department Assembly, elected by popular vote for a four-year period. The governor cannot be re-elected in consecutive periods. 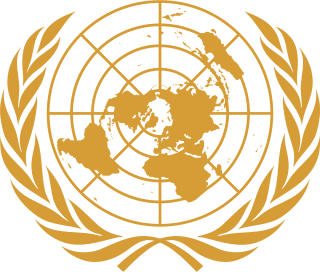 Departments are country subdivisions and are granted a certain degree of autonomy. 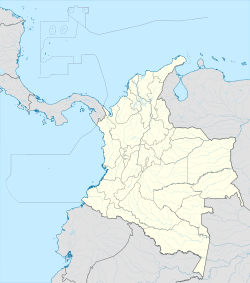 Cauca Department is a Department of Colombia. Located in the southwestern part of the country, facing the Pacific Ocean to the west, the Valle del Cauca Department to the north, Tolima Department to the northeast, Huila Department to the east, and Nariño Department to the south. Putumayo and Caqueta Departments border the southeast portion of Cauca Department as well. It covers a total area of 29,308 km2 (11,316 sq mi), the 13th largest in Colombia. Its capital is the city of Popayán. The offshore island of Malpelo belongs to the department. It is located in the southwest of the country on the Andean and Pacific regions. The area includes 2.56% of the country. The town is well known for its colonial architecture and its contributions to Colombian cultural and political life. It is also known as the "white city" due to the color of most of the colonial buildings in the city center, where several churches are located, such as San Francisco, San José, Belén, Santo Domingo, San Agustín, and the Catedral Basílica Nuestra Señora de la Asunción, known locally as "La Catedral". The city's cathedral was home to the Crown of the Andes, a 16th-century Marianist devotional object featuring emeralds taken from the captured Inca Emperor Atahualpa. It was sold to finance local health care institutions. The Cathedral Basilica of Our Lady of the Assumption also called Popayán Cathedral It is a cathedral church of Catholic worship dedicated to the Virgin Mary under the title of Our Lady of the Assumption of Popayán. The Crown of Our Lady of the Assumption of Popayán, known as the Crown of the Andes, is a votive crown originally made for a larger-than-life sized statue of the Virgin Mary in the cathedral of Popayán, Colombia. The oldest parts of the crown are the orb and cross at the top, which date to the 16th century. The diadem was made around 1660, and the arches were added around 1770. The crown is adorned with 450 emeralds, the largest of which is the "Atahualpa Emerald"; this might have belonged to Incan Emperor Atahualpa (1497–1533) and been seized from him when he was captured in 1532 by Francisco Pizarro, a Spanish conquistador. In 1936, the crown was sold by its owners to an American businessman and it has remained in the United States ever since. As of December 2015, the crown belongs to the collection of the Metropolitan Museum of Art in New York City. Popayán has been home to seventeen Colombian presidents, as well as noted poets, painters, and composers. The University of Cauca (est. 1827), one of Colombia's oldest and most distinguished institutions of higher education, is located here, so Popayán is also known as the "University City". Nearby is Puracé National Natural Park. The nearest large city is Cali, in the Valle del Cauca Department, north of Cauca. The Universidad del Cauca is a public institution of higher education located in the city of Popayán, capital of the department of Cauca, Colombia. It was created on April 24, 1827 by Decree by the President Francisco de Paula Santander, civil foundation for higher level educational institutions in major cities of the country newly liberated from Spanish rule, for effects of training of citizens who would support the independent national life at all levels, in different areas and activities. It was installed November 11, 1827 and the nationalization was ratified by Law 65 of 1964. It currently has 43 programs undergraduate and 48 programs postgraduate which include 29 specializations, 14 Masters and 5 Ph.D.. The Puracé National Natural Park is a national park located in the Andean Region of Colombia, southeast of the city of Popayán in the Cordillera Central range. Its main feature is the active stratovolcano Puracé, one of Colombia's most active volcanoes. Four of the country's most important rivers originate within the area: Magdalena River, Cauca River, Japurá River and Patía River. Santiago de Cali, or Cali, is the capital of the Valle del Cauca department, and the most populous city in southwest Colombia, with an estimated 2,319,655 residents according to 2005-2020/DANE population projections. The city spans 560.3 km2 (216.3 sq mi) with 120.9 km2 (46.7 sq mi) of urban area, making Cali the second-largest city in the country by area and the third most populous. As the only major Colombian city with access to the Pacific Coast, Cali is the main urban and economic centre in the southwest of the country, and has one of Colombia's fastest-growing economies. The city was founded on 25 July 1536 by the Spanish explorer Sebastián de Belalcázar. The 1983 Popayán earthquake occurred on 31 March in Popayán, Colombia. It had a magnitude of at least 5.5 with an epicenter south west of Popayán at a depth of 12–15 kilometers (7.5–9.3 mi). The earthquake killed 267 people and resulted in the passing of new laws requiring earthquake resistant building materials in zones at risk of tremors. A cacique is a leader of an indigenous group, derived from the Taíno word kasikɛ for the pre-Columbian tribal chiefs in the Bahamas, the Greater Antilles, and the northern Lesser Antilles. In the colonial era, Spaniards extended the word as a title for the leaders of practically all indigenous groups that they encountered in the Western Hemisphere. In Spanish America, Brazil, Spain, and Portugal, the term also has come to mean a political boss or leader who exercises significant power in the political system known as caciquismo. The Cauca River is a river in Colombia that lies between the Occidental and Central cordilleras. From its headwaters in southwestern Colombia near the city of Popayán, it joins the Magdalena River near Magangué in Bolívar Department, and the combined river eventually flows out into the Caribbean Sea. It has a length of 965 km (600 mi) to its junction with the Magdalena, for a total length of 1,350 km (840 mi). from origin to seamouth. The river is under the supervision of the Corporación Regional del Cauca and the Corporación Autonoma Regional del Valle del Cauca, and is navigable for 640 km (400 mi) above its junction with the Magdalena. No records exist of the pre-Hispanic history of the indigenous village of Popayán, but on 13 January 1537 the Spanish conquistador Sebastián de Belalcázar arrived in Popayán. In the sixteenth and seventeenth centuries, Popayán was administered by an appointed governor under the jurisdiction of the Royal Audience of Quito. Conquistador is a term widely used to refer to the knights, soldiers and explorers of the Spanish Empire, although it is sometimes used also for the Portuguese Empire in a general sense. During the Age of Discovery, conquistadors sailed beyond Europe to the Americas, Oceania, Africa, and Asia, conquering territory and opening trade routes. They colonized much of the world for Spain and Portugal in the 16th, 17th, and 18th centuries. Sebastián de Belalcázar was a Spanish conquistador. De Belalcázar, also written as de Benalcázar, is known as the founder of important early colonial cities in the northwestern part of South America; Quito in 1534 and Cali, Pasto and Popayán in 1537. De Belalcázar led expeditions in present-day Ecuador and Colombia and died of natural causes after being sentenced to death in Cartagena, at the Caribbean coast in 1551. Popayán has been destroyed by several earthquakes. The most recent and destructive lasted eighteen seconds and occurred on 31 March 1983. The reconstruction of the colonial city took more than ten years and today it is still possible to see some lots that have not been rebuilt. The first earthquake seismic design code was established in Colombia as a consequence of this earthquake. El morro del tulcán is the main archaeological site of Popayán. It consists of a truncated pyramid built between 500 and 1600 A.C., a period known as late chiefdom societies. To commemorate the 400th anniversary of the city's founding, a monument was erected in 1937 in honor of city founder Sebastián de Belalcázar, with an equestrian statue by Spanish artist Victorio Macho. Better known as the Paraninfo, this imposing mid-18th-century building was part of the Dominican order monastery until 1826. It was first built with a mud and straw roof, then reinforced over the years with rammed earth and tile. In 1827 Simón Bolivar declared it a property with historic heritage value, when it was already a two steps hose[ clarification needed ] in front of the Santo Domingo plaza. The last great governor of Cauca, Don Miguel de Arroyo Hurtado, made more renovations and reforms that gave it the most current look. When the building was given to the University of Cauca in the early twentieth century, several changes and additional extensions were made, which recovered all the original spaces. This park was born at the same time as Popayán in 1537, when the track in grid generated around religious, governmental, and founders buildings. [ clarification needed ] Initially it was a marketplace. In 1538 a trap was placed in the center of the park, where Jorge Robledo and Álvaro Oyón were beheaded. The trap lasted until 1766 when it was replaced by a water faucet, which remained until 1805 when a stone pile was put in its place, but it was removed too in 1910 after the inauguration of the monument to Sabio Caldas, a piece by the French sculptor Raoul Verlet [ fr ], which has stood there since. A replica of it exists in the Plazoleta de las Nieves in Bogotá. Leafy trees were planted at this time. In May 2007 a proposal by architect Lorenzo Castro aimed to expand the pedestrian zone around the park, and in April 2009 the first phase of the work began. The university gathers students from around the country. It was founded in 1827 by decree of General Francisco de Paula Santander. Its motto is Posteris Lumen Moriturus Edat. Since the beginning of the twentieth century, the main headquarters have been in the Dominican Order cloister, one of the best examples of religious architecture in the city. Called "the nose of Popayán" by Guillermo Valencia, the clock tower is a well-known symbol of the city. It was built next to the cathedral between 1673 and 1682 with 96,000 bricks. The clock, made in England, was placed in 1737. Its mechanism operated by the action of two lead weights which were changed by Antonio Nariño in the Colombia independence dispute in 1814, when metal was required to manufacture ammunition. After the earthquake of 1983, the clock was restored and put back in operation by the same English company that had manufactured it, but it has since stopped working. This bridge connects the central and northern zones of the city. It was built in 1873 on arches of brick and masonry. The designs were prepared by the Italian friar Fray Serafin Barbetti and a German engineer whose mummified remains are preserved in the Archdiocesan Museum of Religious Art. The bridge crosses a fault between the city center and the El Callejón (now Bolivar) neighborhood which was previously extremely difficult to cross, requiring pedestrians to almost crawl on their knees. Accordingly, the new bridge was named Humilladero. For a long time this bridge was one of the main entrances to the city. The liberating armies crossed it to enter Popayán during the early stages of the struggle for Colombia independence. Its well-planned design and strong construction has allowed the bridge to remain intact through many earthquakes. According to the architect, critic and historian Germain Téllez, the facade of this church is the best example of baroque style in Colombia. In its tower is a bell donated by Don Pedro Agustín de Valencia. This temple is remarkable because of its altar decorations and the proportions of its naves and apse. [ citation needed ] In San Francisco's square stands a monument to local hero Camilo Torres, whose replica is located in the square of the Colegio Mayor de San Bartolomé in Bogotá. Late Neogranadino Baroque work, designed by the Spanish architect Antonio Garcia. It has excellent examples of architectures, metal works, and furniture from Quito and Spain schools. His pulpit was designed in the first half of the nineteenth century by an illustrious son of the city, Francisco José de Caldas. Next to this church is the faculty of Law and Political and Social Sciences of the University of Cauca, also in colonial style. Fray Jeronimo Escobar founded the convent of the Augustinians in the late seventeenth century, whose temple was destroyed in the earthquake in 1736. Then, it was reconstructed thanks to contributions from notable people of the city, but it was necessary to restore it again after the earthquake of 1983. In particular it stands out its altar carved in wood and covered in gold, its expository baroque made in silver and an image of the Lady of Sorrows. It is the oldest church in the city and sometimes it served as "Pro Tempore" Cathedral. It dates from 1546 and contains a fine altar discovered after the earthquake of 1983. The principal attraction of this church is the street because its road is made of stones, like old roads in Popayán. Originally it was a straw hut, but in 1609 it was opened a second cathedral of mud and masonry. The current construction was consecrated in 1906 by Archbishop Manuel Antonio Arboleda, who brings it a magnificent European pipe organ. Its style is the neoclassical, and much of the building was restored because of the earthquake of 1983, including the great dome of 40 meters high, whose restoration was made according to guidelines of the original structure designed by the local artist Adolfo Dueñas. It was built in 1702 according to the architectural guidelines of the Jesuits in the American Baroque. It has put up with some changes, for example, the most recent occurred in 1983, when much of the facade which had been covered with paint and lime for at least two centuries, was left on view. It is located on the hill of Belén, and from the chapel you can see a panoramic view of the city. To arrive to this church, it is necessary to pass through the “quingos", a road of stone steps that allow a nice climb to one of the viewpoints of the city. Since 1717 this chapel is in charge of the image of Santo Ecce Homo, patron saint of the city. Next to the church there is a cross of quarry stone of 1789, which are attributed to many legends. The original church was completely replaced by a new structure after the earthquake of 1983. This house displays a very interesting collection of colonial art and precious memories of the Mosquera family. This house is administrated by Universidad del Cauca. It works in the house that belonged to the Mosquera Arboleda family, a recognized family in the history of Colombia, whose members occupied the highest positions of political power, ecclesiastical, military and diplomatic, simultaneously during much of the nineteenth century. The most important were: Joaquín Mosquera, Tomás Cipriano de Mosquera, Manuel José Mosquera and Manuel Maria Mosquera. The father of them all, Jose Maria Mosquera y Figueroa, was considered by the Liberator Simón Bolívar as the only person he would choose as a second parent. The old residence of the Arboleda family, was built in the eighteenth century based on plans of the priest Andres Perez Marcelino Arroyo, and it was acquired by the city in 1974 and renovated for its current use in 1979. Their collections are extraordinary examples of religious art, silverware, pictures of the so-called Quito School and paintings of the colonial period. Monstrances of the collection have such value that they are only exposed to the public for a few days during Easter. It is located in a mansion on the Próceres street, and it is dedicated to the poet Guillermo Valencia, one of the most prominent members of Modernism in Spanish literature. Its numerous rooms are decorated with valuable works of art and artistic pieces, as well as a collection of hundred of selected books, diplomas, medals and awards that Master Valencia received for his distinguished political life and for its fine literary and poetic compositions. In the park located across the street it stands the statue of the poet, made by the Spanish sculptor Victorio Macho. It has too a family cemetery where the remains of several generations of Valencia are resting. The museum depends on the University of Cauca. It offers an exhibition of animals, like insects, butterflies and birds native to the region, and a collection of pre-Columbian pottery. Popayán is widely known for the solemnity of its Holy Week processions, during which it commemorates the passion and death of Jesus Christ. Since roughly the mid-sixteenth century - documents in the historical archives of Popayán mention processions in the year 1558 - sacred processions have taken place each night from Tuesday until Holy Saturday, with ancient religious images paraded through Popayán's historical downtown streets. They are borne on wooden platforms by means of four projecting wooden "bars" at the front and four at the back. These bars rest on the shoulders of the “cargueros”, responsible for carrying the platforms. During Holy Week, Popayán is also home to the Festival de Música Religiosa (Religious Music Festival), begun in the 1960s by Edmundo Mosquera Troya. This festival presents choirs, soloists and artists from around the world, specialists in sacred music. It is also the tradition at this time of the year to hold art and craft fairs selling handicrafts and commercial products. One of the most important handicrafts samples is Manos de Oro, which displays the works of artists of Colombia. Popayán celebrates these festivities at the beginning of the year, from January 5 to 13. These fiestas celebrate the spirit of racial diversity in the country, in the same way as the Carnival of Blacks and Whites, which takes place in the same week, in Pasto, which originally initiated in Popayán during the slavery period as a way of escaping the racial discrimination prevailing at the time. On the plateau of Popayán, groups of farmers play stringed instruments, composed of three guitars and maracas which have incorporated into their repertoire paseos, merengues, pasillos and boleros in vocal and instrumental form. Popayán has been declared a City of Gastronomy by UNESCO, in tribute to its significant tradition of regional cooking. [ citation needed ] Typical dishes of the city are a legacy of both Spanish and indigenous cultural interaction, integrating components of local origin with fruits brought from Spain. The National Gastronomy Congress of Popayán has been held each September since 2003, and in 2005 was recognized by UNESCO as a cultural heritage event of the United Nations creative network. [ citation needed ] The Congress is organized by the Gastronomic Corporation of Popayán, which has presented seven events which have also featured the participation of various countries as special guests: Peru, Brazil, Spain, Chile, Mexico, Italy and France. Carantanta [ es ]: a type of fried corn snack placed in the pot where corn dough has been made. Soups: Shaked Broth[ clarification needed ], Sancocho, tortilla soup, Sango[ clarification needed ], carantanta [ es ] soup, wrappes soup, vegetable and pastries soup. Dishes: pipián tamales, empanadas de pipián, veal. Sauces and seasonings: pique chile, peanut chile, pineapple chile. Cakes: tortilla pie, arracacha cake, white cake, banana cake. Breads and cookies: cucas, molletes, pambazos, rosquillas. Christmas Eve plate or dish is very special. Its content is the most complete of Colombia and consists of hojaldra [ es ], rosquillas, manjar blanco, dulce cortado, natillas and fig syrups, among others. In addition there are several film clubs, many of them located within the University of Cauca. The Cineclub La Tuátara runs every Wednesday in the Comfacauca Institute of Technology auditorium (opened 2001), which has established itself as a cultural space for the city. A very important innovation is the program of the Radio Universidad del Cauca station 104.1 fm, 'Cinema Radio', on air Saturdays at noon, in which are created thematic cycles. They present news about cinema, 'the seventh art', and also discuss the history of film and audiovisual language. Talking about cinematographic production, there are some people who are working to strengthen the seventh art in the municipality. Popayan has one commercial airport, Guillermo León Valencia Airport, served by Avianca. Antonio José de Sucre y Alcalá, known as the "Gran Mariscal de Ayacucho", was a Venezuelan independence leader who served as the fourth President of Peru and the second President of Bolivia. Sucre was one of Simón Bolívar's closest friends, generals and statesmen. The city of Sucre, Bolivia's capital, is named for him, as is a state of Venezuela and a department of Colombia. Both the old and new airports of Ecuador's capital Quito are also named after him. Tomás Cipriano Ignacio María de Mosquera-Figueroa y Arboleda-Salazar was a Colombian general and political figure. He was president of Colombia four times. The first time was as president of Republic of New Granada from 1845 to 1849. During the Colombian Civil War of 1860–1862 he led liberal forces in a civil war against conservative factions. After the liberals won, a new, federalist constitution was implemented, which established a two-year presidency, and the nation renamed the United States of Colombia. Mosquera served twice as president of the new government. From 1861 to 1862 he served in a non-elected, interim manner, while the constitution was written. From 1862 to 1864 he served in an elected manner. He had a fourth term from 1866 to 1867. Due to the liberal reforms carried out under his leadership, he is considered one of the most important persons in Colombian history of the 19th century. Guillermo León Valencia Muñoz is a Colombian politician, lawyer and diplomat who served the 21st President of Colombia from 1962 to 1966. The Gran Colombia–Peru War of 1828 and 1829 was the first international conflict fought by the Republic of Peru, which had gained its independence from Spain in 1821, and Gran Colombia, that existed between 1819 and 1830. Pácora is a town and municipality in the Colombian Department of Caldas. It is located in northern Caldas-Department, on the slopes of the Andes Central Mountains of the Republic of Colombia. With an average annual temperature of 18 °C, the town is bordered to the northeast with Aguadas, Caldas, to the south with Salamina, Caldas and La Merced, and to the west separated by the Cauca River, Marmato-Caldas and Caramanta-Antioquia department. The villages in Pácora are San Bartolomé, Castilla, Las Coles, Los Morros, San Lorenzo and Buenos Aires. José María Ramón Obando del Campo was a Neogranadine General and politician who twice served as President of Colombia. As a General, he initially fought for the Royalist Army during the Independence Wars of Colombia, ultimately joining the revolutionary forces of Simón Bolívar towards the end, but once independence was attained he opposed Bolívar's Centralist government. The Real Audiencia of Quito was an administrative unit in the Spanish Empire which had political, military, and religious jurisdiction over territories that today include Ecuador, parts of northern Peru, parts of southern Colombia and parts of northern Brazil. It was created by Royal Decree on 29 August 1563 by Philip II of Spain in the city of Guadalajara. It ended in 1822 with the incorporation of the area into the Republic of Gran Colombia. Ezequiel Hurtado Hurtado was a politician, military general and statesman who became President of Colombia. He was born in Silvia, in the department of Cauca, December 14, 1825 and died in Popayán, September 4, 1890. His parents were Nicolas Hurtado and Maria Trinidad Hurtado. e went to school at Colegio San Jose and then studied law at the University of Cauca, where he graduated on January 27, 1852. He subsequently became a University lecturer in law. Guillermo León Valencia Airport is an airport serving Popayán, the capital city of the Cauca Department in Colombia. It took the name of former President of Colombia Guillermo León Valencia Muñoz. 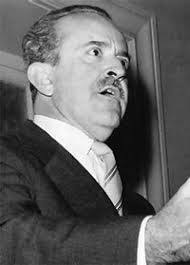 Federico Carlos Lehmann Valencia (1914–1974) was a Colombian ornithologist, plant collector, and conservation biologist. Josefina Valencia Muñoz was a Colombian politician, and the first woman to be appointed governor of a Colombian department as Governor of Cauca, and the first woman to be appointed to a cabinet-level position as the 46th Minister of National Education of Colombia. The Holy Week in Popayán, Cauca (Colombia), is the celebration of the Passion and death of Jesus Christ through daily processions continuously performed since the sixteenth century between Good Friday nights and Holy Saturday. This parade takes place in the ancient streets of the "White City". Religious images of Spanish, Andalusian, Quito, Italian and Payanes arranged on a wooden platform with 4 front and 4 back "barrotes" (bars) are carried in the shoulders of the "Cargueros". These images are representations of different episodes recounted in the Gospels on the Passion, Crucifixion and Death of Jesus Christ. Each performance is a "paso" (step). The steps are taken through the streets, a distance of a cross-shaped layout since the time of the Conquest, passing by the main churches and temples of the city. Óliver Lis or Andres Oliver Ucros & Licht is an editor, literary agent, author, psychologist, film producer, screenwriter. Jose Maria Quijano Wallis was a Colombian lawyer, diplomatic, politician and historian. His parents were Manuel de Jesús Quijano y Ordóñez and Rafaela Wallis y Caldas, daughter of an English physician, Wallis and Baltazara Jorge Caldas, younger sister of the wise and patriotic Francisco José de Caldas. He also served as Congressman in both houses, Governor of Cauca, and Secretary Foreign Affairs, of Finance and Development, and of Treasury and Public Credit. Aurelio Iragorri Valencia is the 12th Minister of the Interior of Colombia, serving in the administration of President Juan Manuel Santos Calderón. Iragorri, who had served as Deputy Minister of the Interior from 2010 to 2012, also served as Santos' Chief of Staff, and as High Presidential Advisor for Political Affairs. Our Lord of the Miracles of Buga, also known as the Lord of the Miracles, is a famous statue of Jesus Christ in the form of a crucifix, remarkable for having come into existence miraculously and spontaneously and without the work of human hands. 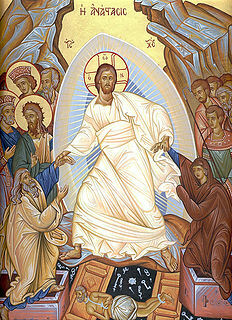 This type of miraculous icon is known as acheiropoieta. The Rosas-Julumito Fault is an oblique dextral strike-slip fault in the department of Cauca in southwestern Colombia. The fault is part of the megaregional Romeral Fault System and has a total length of 43.3 kilometres (26.9 mi) and runs along an average northeast to southwest strike of 026.9 ± 7 in the Central Ranges of the Colombian Andes. The fault is associated with the 1983 Popayán earthquake that partially destroyed Popayán, the capital of Cauca, and led to more than 300 fatalities. A maximum moment magnitude earthquake of 6.8 is estimated for the fault. ↑ See the entry in the website, accessed 4 April 2015. ↑ See the description on the website, accessed 4 April 2015. ↑ "Popayan, Colombia Köppen Climate Classification (Weatherbase)". Weatherbase. Retrieved 2019-02-15. ↑ "Clima Popayán: Temperatura, Tempo e Dados climatológicos Popayán - Climate-Data.org". pt.climate-data.org. Retrieved 2019-02-15. Wikimedia Commons has media related to Popayán . Source: Wills, Fernando et al. 2001. Nuestro patrimonio - 100 tesoros de Colombia - Our heritage - 100 treasures of Colombia, 1-311. El Tiempo.